S represents the Stories that we hope to tell in order to inspire others. 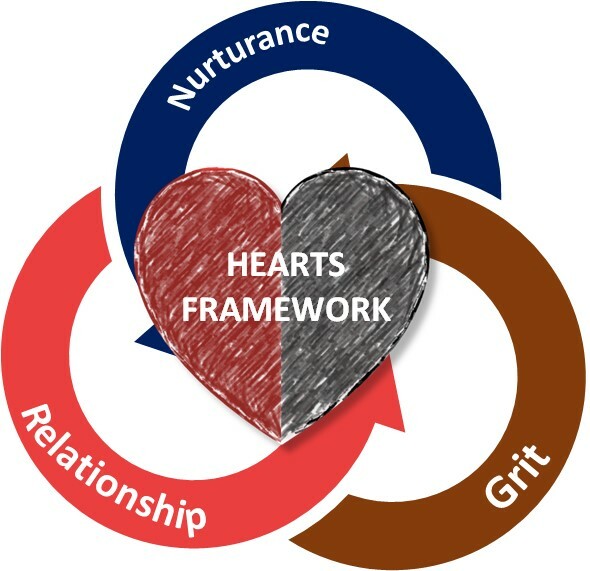 An interconnected vision comprising three core pillars—Nurturance, Relationships and Care—the HEARTS framework embraces an approach that combines the grit of sports in order to nurture positive relationships. Sports promotes respect, resilience, discipline and integrity. These are values that bring out the best in people. We believe that by working through sports and promoting these values, we can help our constituents nurture positive relationships with the people around them. This, in turn, strengthens empathy, self-motivation, care and promotes a deep appreciation of diversity, qualities that will instil a deeper sense of belonging in the community, boost their confidence and grow their potential as an individual. By providing our coaches, trainers and community volunteers with adequate training, we engage the underprivileged more meaningfully and create relevant avenues for them to best express themselves through sport. At SportCares, we are more than just practitioners of sport-based social development and community building programmes—we are educators with a heart. As a result, we fully embrace the responsibility that comes along with providing the vulnerable a safe space to hone their craft and nurture their abilities.